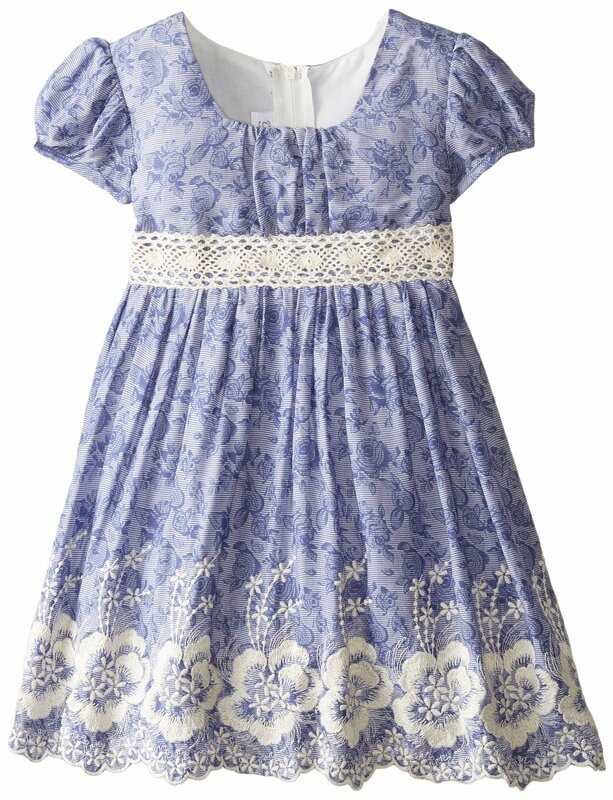 Precious chambray cotton emma dress features embroidered lace trim. In cotton. Machine wash. Imported.